The NASDAQ listed travel management solutions provider Concur has announced an investment of $40 million for a minority interest in one of India's top 3 online travel agencies (OTAs) Cleartrip Travel Services (Cleartrip.com). Mumbai-headquartered Cleartrip is privately held and backed by DAG Ventures, Draper Fisher Jurvetson, Mahindra Group, Sherpalo Ventures and Kleiner Perkins. The alliance between Concur and Cleartrip also includes a marketing partnership, which will enable the company to access travel content and integrate with Cleartrip's offerings and together target the Indian business travel market. The two companies will work together to leverage specific Indian domestic travel content, including air, hotels and rail, available through Cleartrip, the company has said in a statement. Concur has forayed into India and will set up operations here. Concur offers web based and mobile solutions for travel and expense management to companies. Now, Concur will enable its reportedly 15 million clients to use Cleartrip-generated travel itineraries for travel and expense reporting. Concur claims that its on-demand services process over $35 billion in travel and entertainment (T&E) spend a year. The alliance between Concur and Cleartrip also includes a marketing partnership, which will also enable the company to access travel content and integrate with Cleartrip's offerings and together target the Indian business travel market. The two companies will work together to leverage specific Indian domestic travel content, including air, hotels and rail, available through Cleartrip, the company has said in a statement. "India's economy is fueling a travel sector that is expected to grow to over $20 billion by 2012," said Steve Singh, Concur's chairman and chief executive officer. "Cleartrip has established itself as a leading online travel portal serving this market. As a global technology provider, we understand that it's critical to focus on the local needs of each market in which we operate. 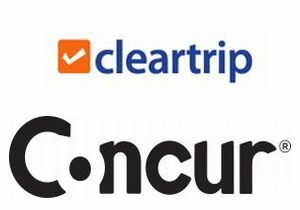 In partnership with Cleartrip, Concur plans to leverage the synergies of our combined technologies to help us expand our offerings, extend our reach, and make business travel easier for the millions of travelers in India." In January, Concur completed the acquisition of TripIt.com, a mobile trip management site for with $82 million in upfront cash, stock and unvested restricted stock units and additional consideration over time that could bring the total value to $120 million. Sandeep Murthy, Chairman â€“ Cleartrip said, "Cleartrip's partnership with Concur presents a very exciting strategic opportunity to better benefit the Indian business travel market. Cleartrip has built a broad and loyal base of customers who value our simple and smart approach to travel. As a strategic partner of Concur's, we will together drive this dynamic category, by helping Indian businesses of all sizes achieve new levels of efficiency in travel and expense management, through enhancements in technology and product offering as well as superior service." Cleartrip is one of the top 3 online travel firms in India, alongside Makemytrip.com and Yatra.com. It was learnt that Cleartrip plans to invest around $10 million in the Middle East market. Leading Indian OTA Makemytrip.com is also raising additional capital through a public issue to expand its operations while Via, a Bangalore-based online travel agency is attempting to raise $100 million to expand to more countries.